Quite often when I am helping a person to quit smoking I ask them if they think that their habit is controlling them. It always amazes when they say that it doesn’t. They check often that they have their cigarettes and lighter. They plan their day around cigarettes and smoking. They will go to great lengths to ensure that they do not run out of cigarettes. If that’s not control then nothing is! When you quit smoking cigarettes you take back control of your life. Quitting smoking means that you make the decisions and not cigarettes and smoking. Quitting smoking means that you have more control over your health and well-being. Smoking is a habit that can exert enormous influence on a person’s life and detrimental consequences of smoking are just as enormous. It makes sense to have control in your life. We often can’t control everything in our lives but we can take control of a smoking habit. 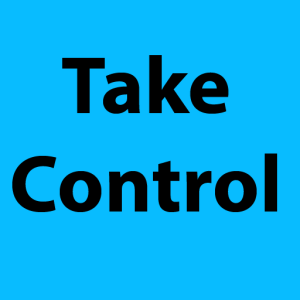 It comes down to making a decision, it comes down to taking control of at least some part of our lives.